A interesting copper and white metal Kangling. Of unusual style and construction, this example measures just over 36cms long. 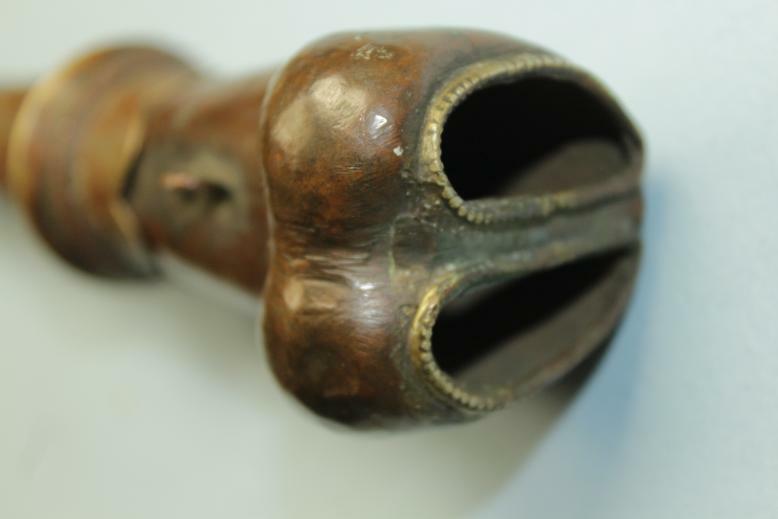 Its form it that of a human femur bone joint that tapers to a trumpet like mouth piece. The joint end is decorated with white metal beading around the openings. 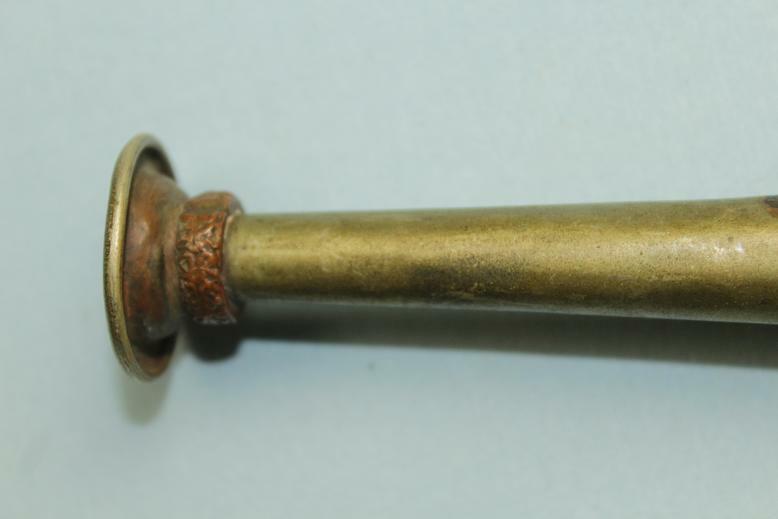 Approximately 10cms from the joint is a flared and decorative section of overlaid metal work. 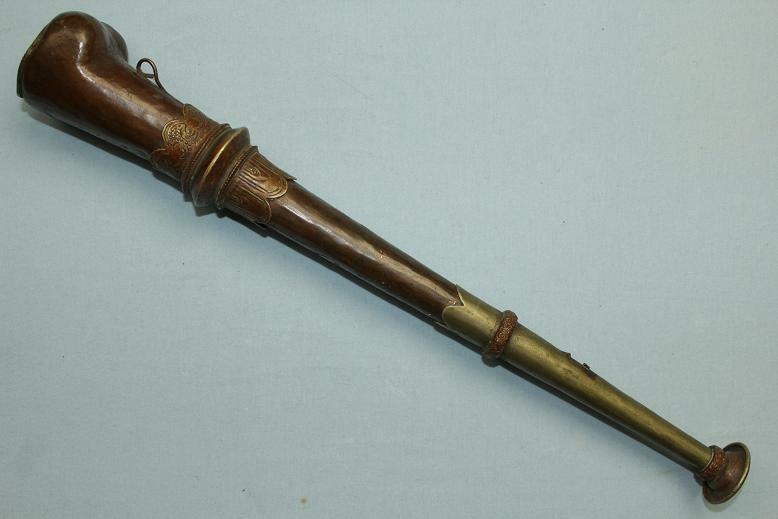 From this point the Kangling tapers distinctly towards the long flute like mouth piece, also overlaid atop the copper body of the trumpet. 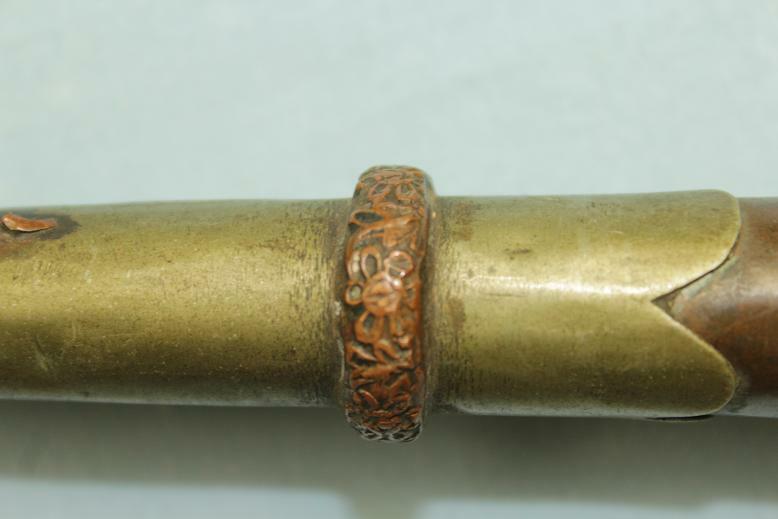 The long mouth piece section is bound in two thick copper bands that show chiseled floral design. 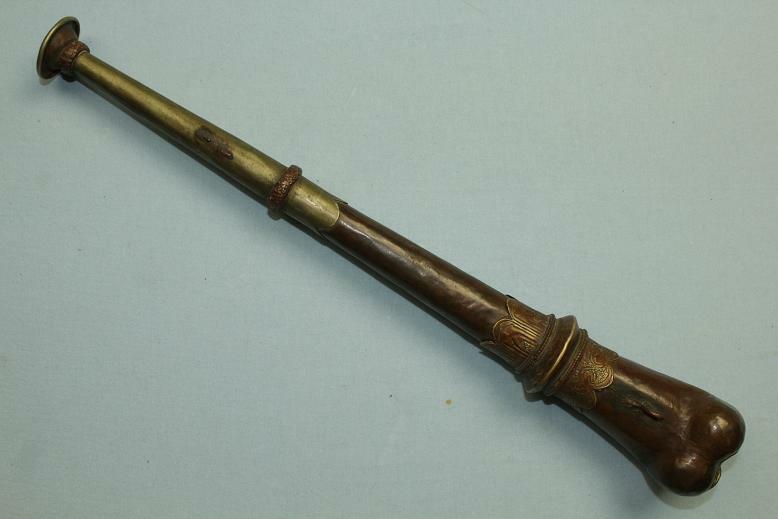 An interesting and well priced Tibetan trumpet/Kangling, likely from the early to mid 20th century.